We're thrilled to bring you a bonus episode of Palestinians Podcast produced and presented by Aceel Kibbi. Aceel tells the story of Sarah Hassan. Sarah Hassan is an American of Palestinian descent. Her parents migrated to the US and settled in the Boston area. Born and raised in America, Sarah still feels like a foreigner. And it's not her hijab that makes her feel that way, but rather her homesickness. Although she's never seen Palestine for herself, Sarah feels a strong connection to the country and culture. You'll hear the many ways she incorporates elements of the Palestinian culture in her life and, as of 18 months ago, in her daughter's life. Sarah still longs for Palestine, and at the end, she paints a picture of what she expects to see and feel if she ever gets the chance to visit her homeland. Make sure to connect with us on Facebook, Instagram, and Twitter! Take our listener survey! Write us a written review on Apple Podcasts. BONUS: David and Abood, Messi or Ronaldo? In this special bonus episode of Palestinians Podcast we hear from Dr. David Mills, a pediatrician who has worked with the Palestine Children Relief Fund (PCRF) for the past 5 years. We hear about David's journey across the Atlantic with Abood Nofal, a young Palestinian boy injured during the Great March of Return. Abood was assisted by PCRF, an organization that sends children abroad for medical care. Dr. Mills told his story during the Boston Chapter's PCRF annual fundraiser on December 1, 2018. To donate to PCRF, visit our Facebook fundraising page or give directly. If you haven't already, please consider taking a few minutes to complete our listener survey. It'll help us improve the podcast. Happy listening! BONUS: It's been 3 years! 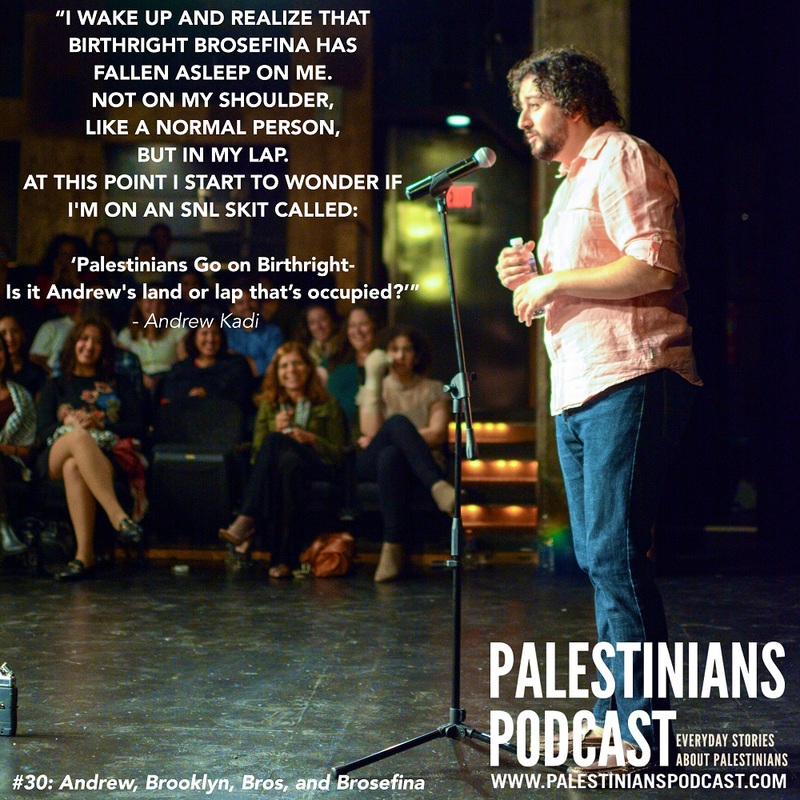 It's been THREE years since we released our first episode of Palestinians Podcast! We need your help to keep the podcast going. Please take our brief listener survey to help us continue to producing episodes that you'll enjoy. Thank you for listening and supporting the show! We're looking for young, enthusiastic, and talented audio and media producers to help sustain the podcast. We also need help in acquiring non-profit status. If you or anyone you know can help, please email Nadia: nadia@palestinianspodcast.com. Happy listening! In this episode of Palestinians Podcast we hear from three members of the Dubbaneh Family (Issa and two of his sons: Danny, and Johnny). 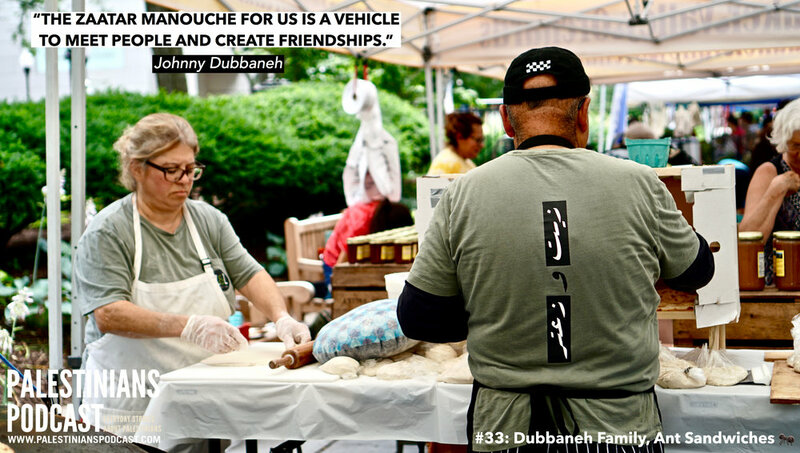 The Dubbaneh's are a close and tight-knit family who run a business together, Z&Z. They not only sell zaatar but they also create memories at their farm stand for everyone who visits. In this episode you'll hear about Issa's transition to the U.S. when he immigrated from Palestine and about what it was like to raise a family while owning restaurants. Danny and Johnny discuss their experiences as Palestinian Americans and describe the reasons for starting their zaatar company. Grab yourself a manouche and enjoy this family-centered episode of Palestinians Podcast! Please take a moment to provide a written review and give us a star rating on Apple Podcasts. You can listen to all episodes of Palestinians Podcast on Spotify, Soundcloud, Apple Podcasts, and our website. Thank you for supporting Palestinian storytelling! You can buy your own jar of Z&Z zaatar on Amazon! In this episode of Palestinians Podcast we hear from Michael Maria, a Palestinian-American born and raised in Massachusetts. Michael reflects on his childhood, his heritage, and the legacy he plans to pass down to his young son, Sebastian. Michael is an essential member of the Boston Palestine Film Festival, happening from October 19-28, 2018. The awesome music featured in this episode is by Bashar Murad, a Palestinian musician who pushes the boundaries with his alt-pop music. If you enjoyed it, please support him by purchasing his music! Follow us on Twitter, Instagram, and Facebook. Write us a review on Apple Podcasts! Thank you for supporting us. Happy listening! 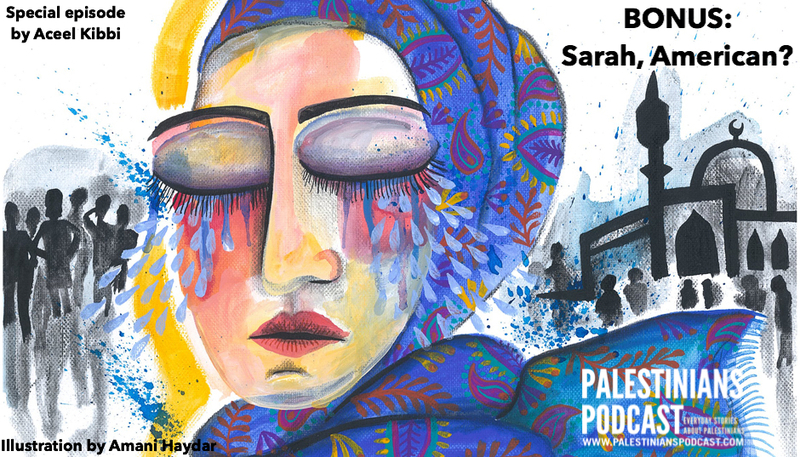 In this episode of Palestinians Podcast we hear about Lena Ghannam's experiences with her first loves, being third culture, and visiting Palestine for the first time. This episode features a story told live at Palestinians, Live! in Washington D.C. in October of 2017 as part of the DC Palestinian Film and Arts Festival. The music in this episode is by Basel Zayed and the Ayn Trio. The tracks featured are part of a beautiful new album released in September of 2018. To find out more about the music you can visit Basel Zayed's website or our website. For more information visit: www.palestinianspodcast.com. Special episode: Faisal, The Palestine Museum U.S. In the special live episode of Palestinians Podcast we are in conversation with Faisal Saleh the founder of the Palestine Museum U.S. in Woodbridge, CT. Our host, Nadia Abuelezam, visits Faisal at the museum and learns about his life as a Palestinian living in Palestine and in the United States. We also learn about his motivation for starting the museum and the community he has built around it. In this episode we hear from Andrew Kadi. Andrew told a story about his experience at the Tel Aviv airport live on stage at Palestinians, Live! in October of 2017 at the DC Palestinian Film and Arts Festival. While his experience was traumatic, Andrew manages to tell the story with plenty of humor. In this episode, Andrew also reflects on his homeland, his mother, and his activism work in the United States. Music in this episode is by DAM. We thank them for generously allowing us to use two of their songs (Mama, I'm in Love with a Jew and Freedom for My Sisters). Transcription and audio editing was performed by our summer intern Rashad Saleh. To commemorate the 70th anniversary of the Nakba, we will be releasing two episodes this month. The second of these two features Samar Najia. In this episode we hear about Samar's relationship with her mother and the influence her mother has on her life. Samar also discusses the importance of community for Palestinian identity in the diaspora. The music in this episode is by Huda Asfour from her upcoming album Kouni. You can find out more about her music and the album on our website. Please consider giving us a rating and writing a written review on iTunes. We hope that you help us spread the word on social media about the podcast. Visit our website for information on how you can get involved. Thank you for listening! To commemorate the 70th anniversary of the Nakba, we will be releasing two episodes this month. The first of these two features Dr. Nijmeh Hodaly. In this episode we hear about the struggles associated with growing up as a young teenager in occupied Palestine and also about the struggles associated with raising Palestinian children in the diaspora. Nijmeh also discusses the importance of her faith and her family.